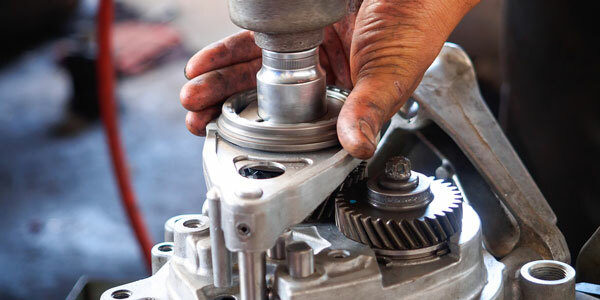 When you need a transmission service, why go to a general mechanic? Come to the specialists at Hofmann Transmission. For over 60 years, we’ve been repairing and servicing all types of transmissions right here in Brooten, MN. Our specially-trained technicians use only the most up to date equipment to ensure you get the best service possible. As a locally-owned business, you can expect a level of personal service that you just won’t find at a large chain. Not sure you can make it by the shop? We offer a pick-up service. We realize that being in a rural location can be a challenge for some of our customers. If you are unable to get your vehicle to us, we can pick it up for minimal to no cost. Call to find out more information about this convenient service. When transmission repairs are needed, we’re here to help. Give us a call to schedule your repair or maintenance service appointment today. Call 320-346-2251 to schedule an appointment today. © 2017 Hofmann Transmission. Website by Arvig® | SmartSearch.